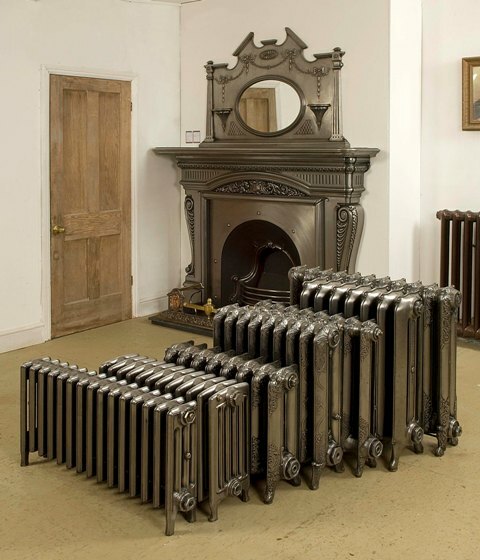 The Old Radiator Company, which also covers Surrey, Sussex and London areas, continues to have a large selection of cast iron radiators on display and is open 5 days a week with weekends available by appointment. 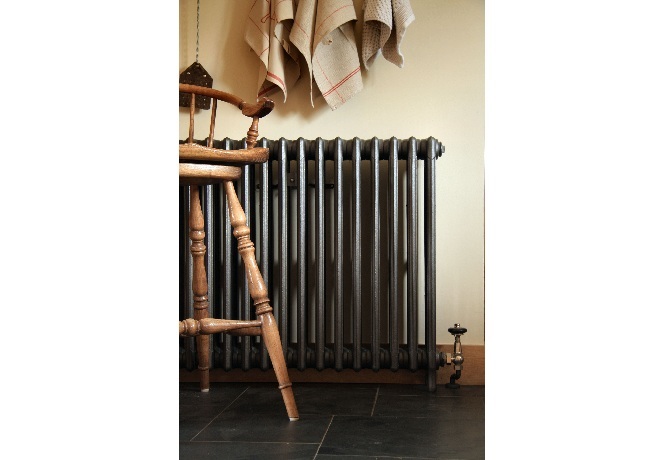 We deliver to you in our own transport in any part of the country. 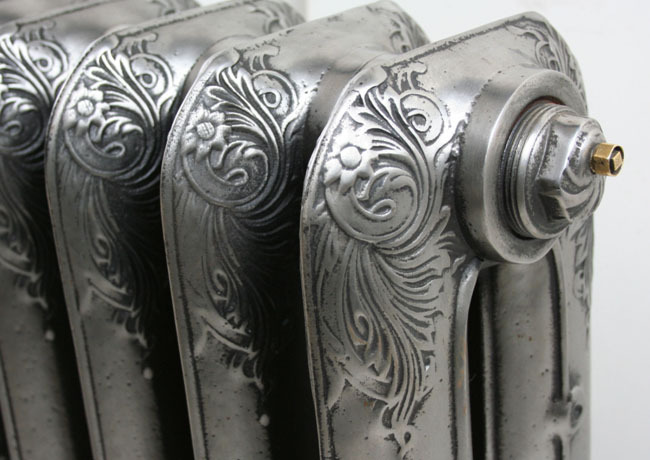 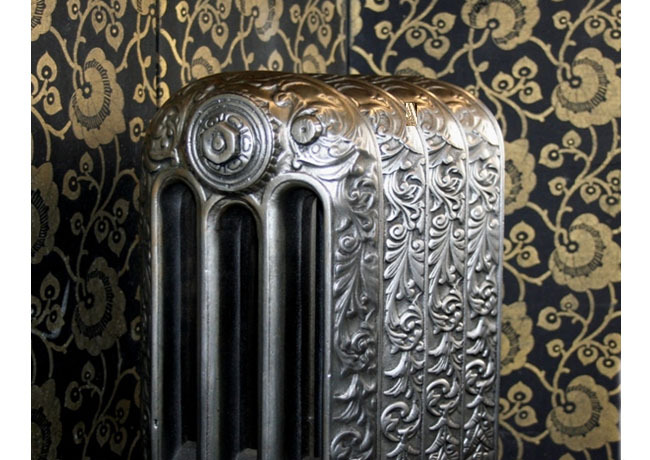 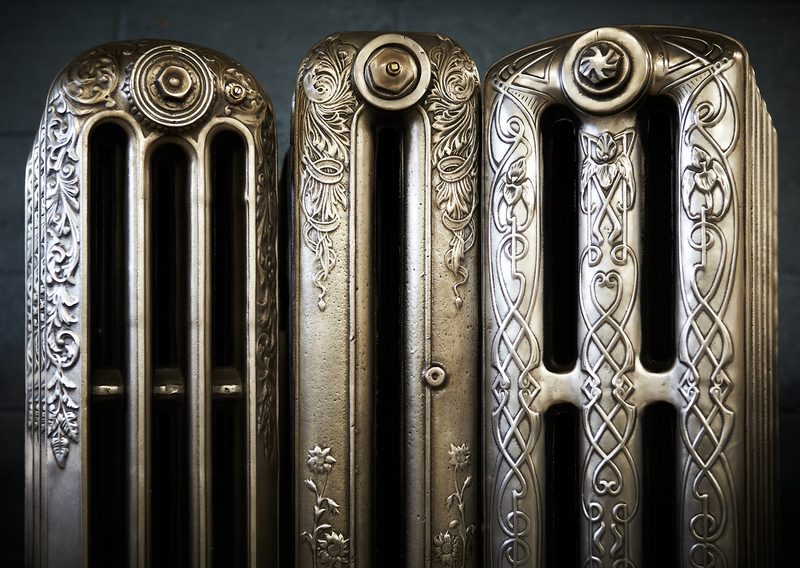 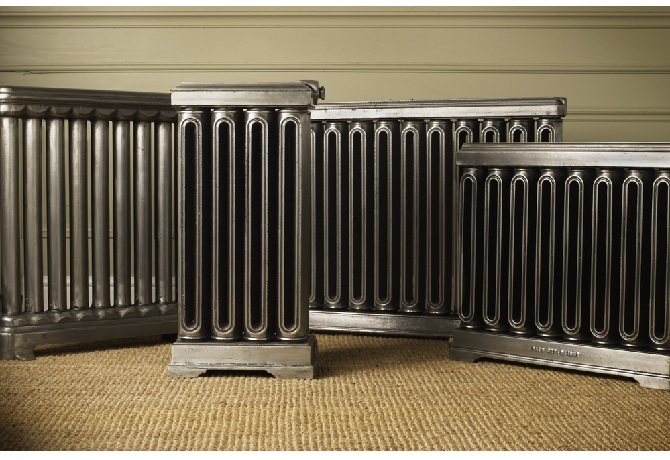 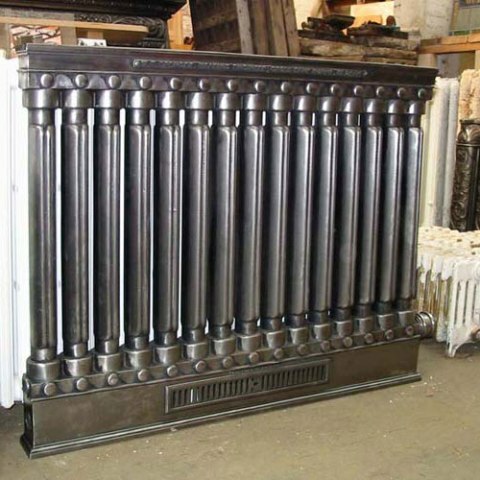 At the Old Radiator Company we specialise in the specification, restoration, refurbishment and bespoke supply of original cast iron radiators. 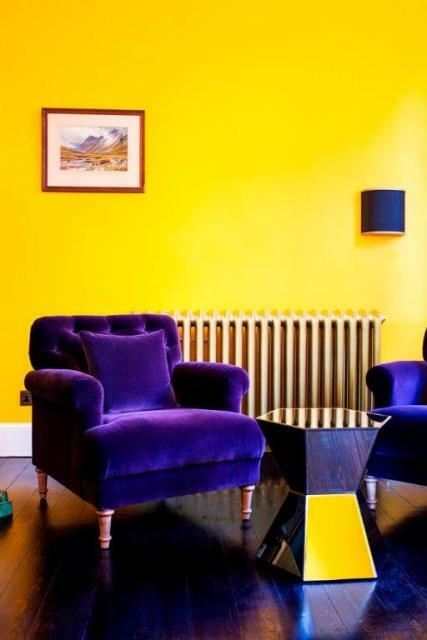 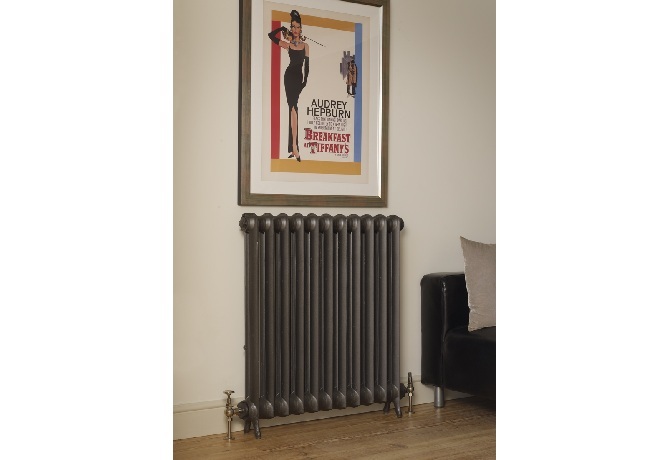 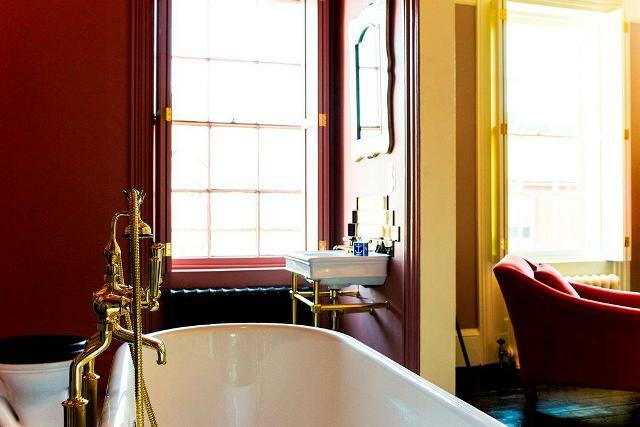 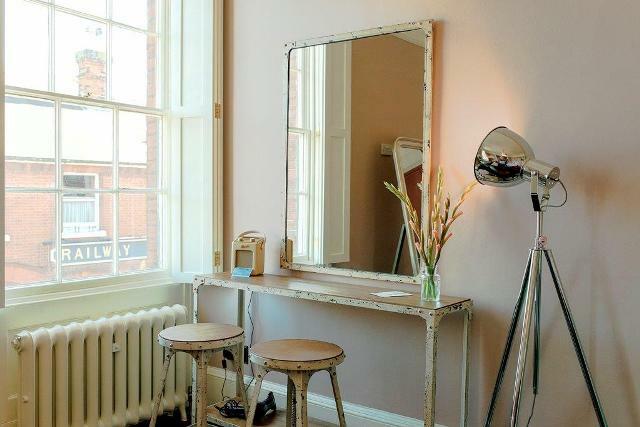 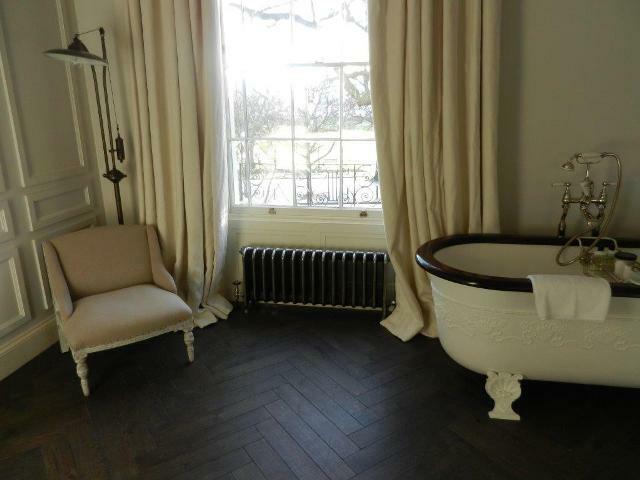 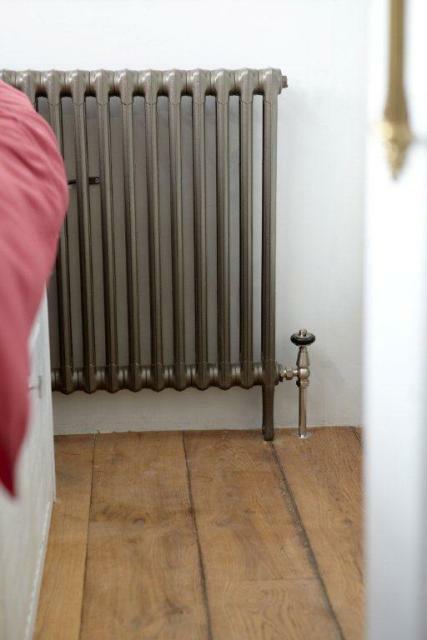 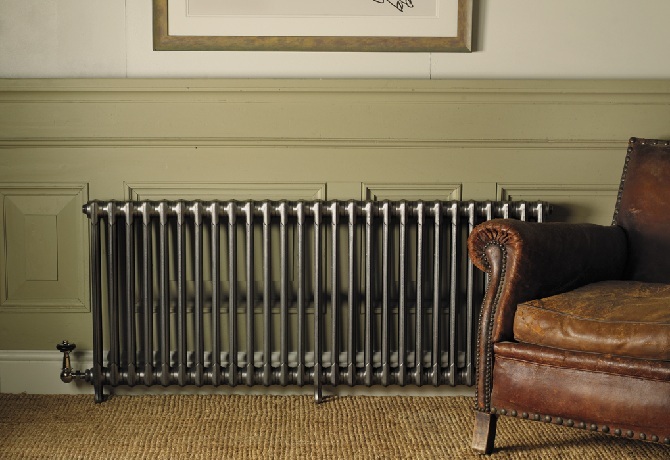 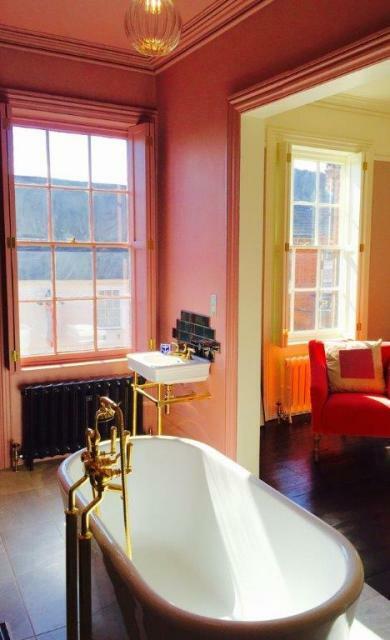 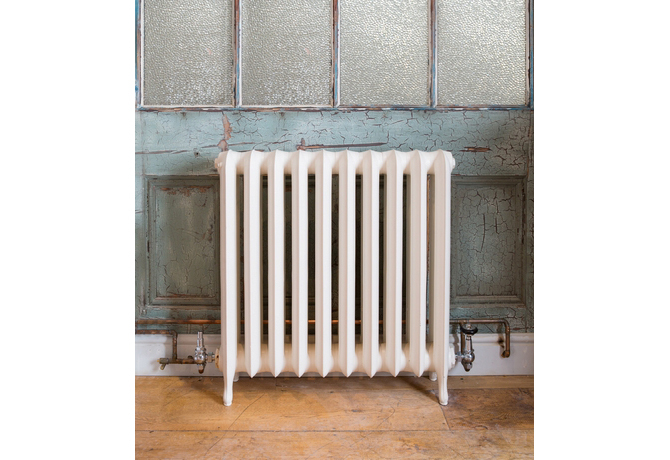 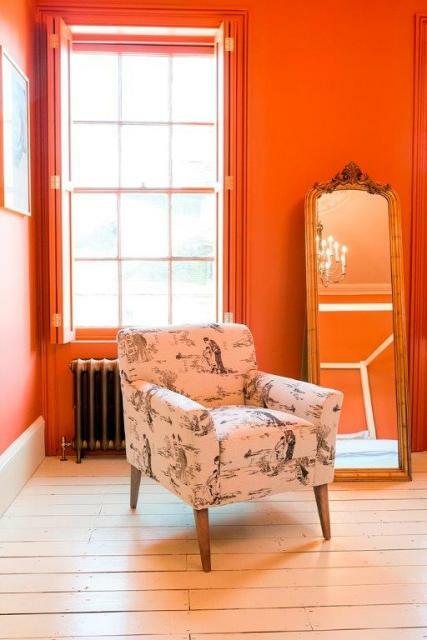 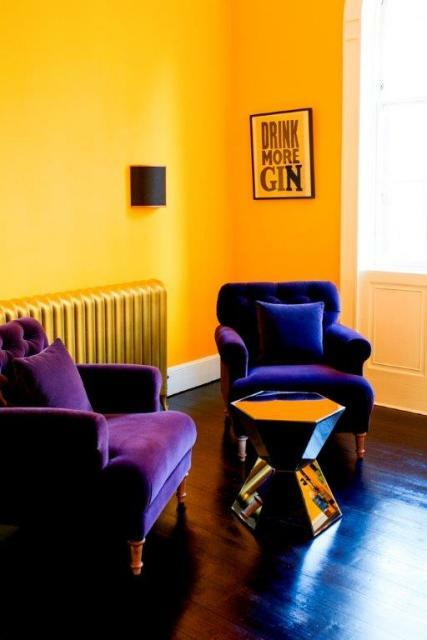 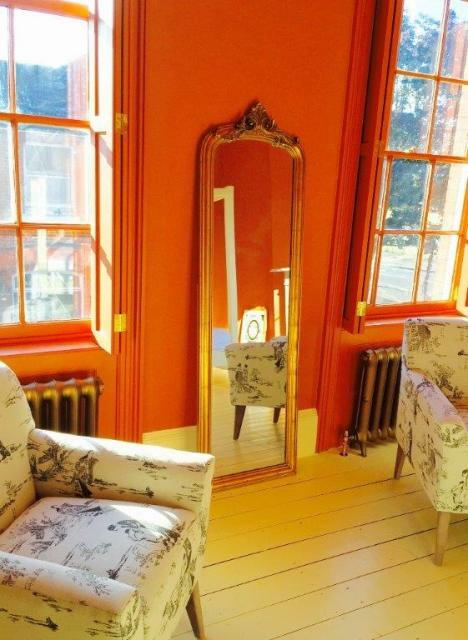 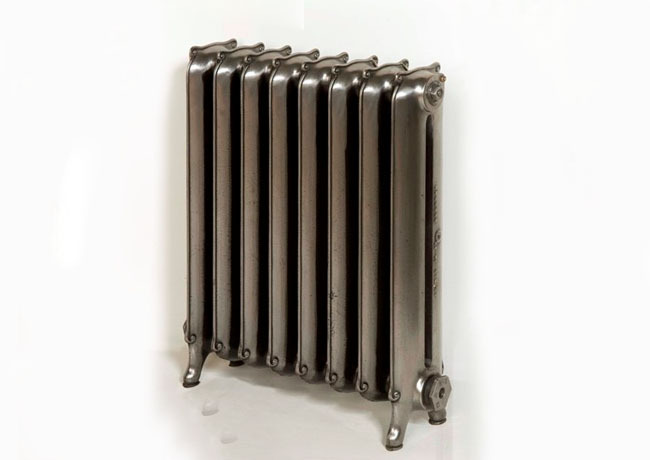 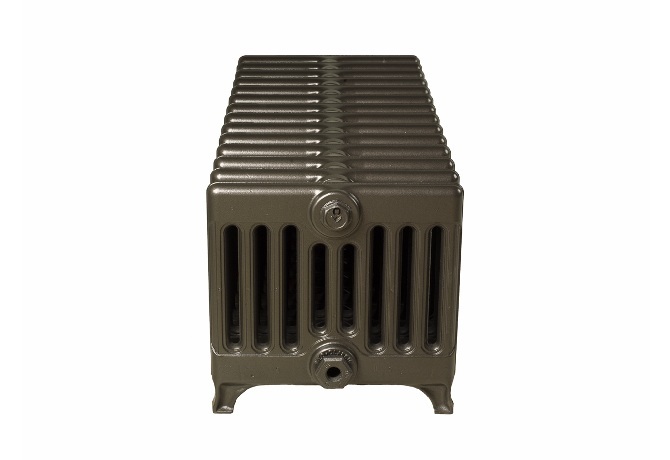 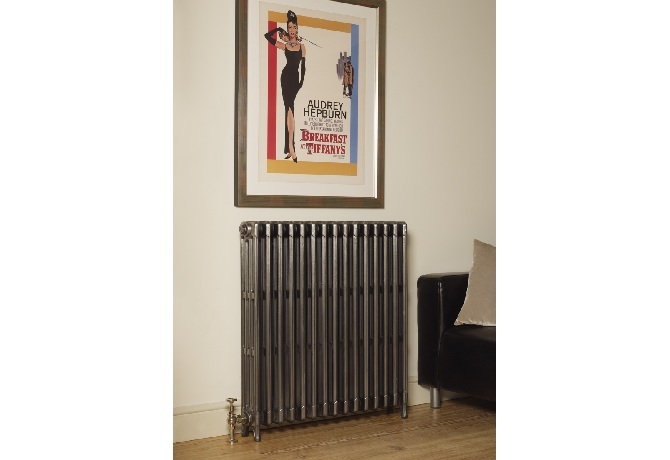 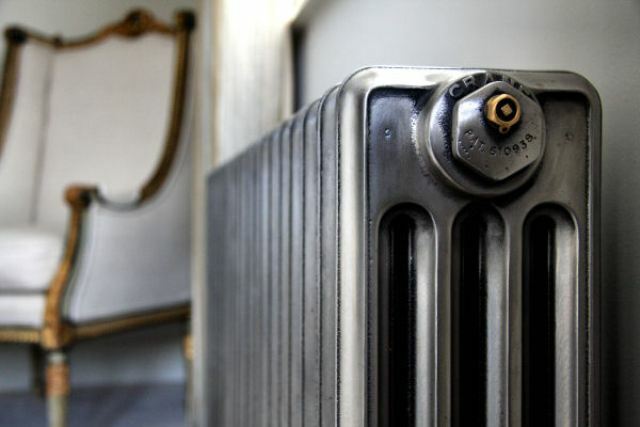 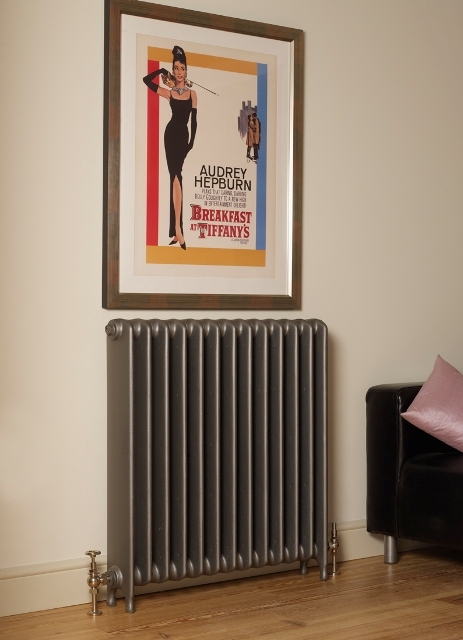 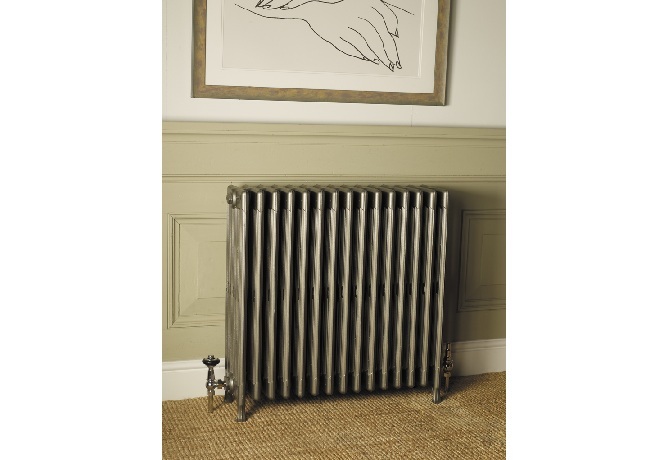 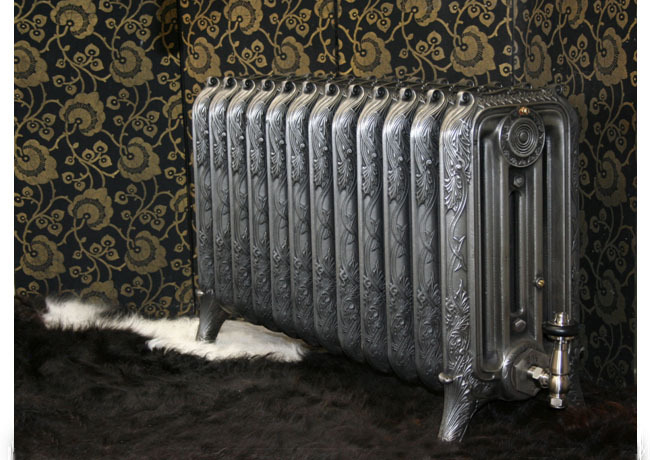 A radiator from The Old Radiator Company is supplied fully refurbished, tested and fitted with metric pipe fittings enabling our original cast iron radiators to be plumbed directly into modern central heating systems. 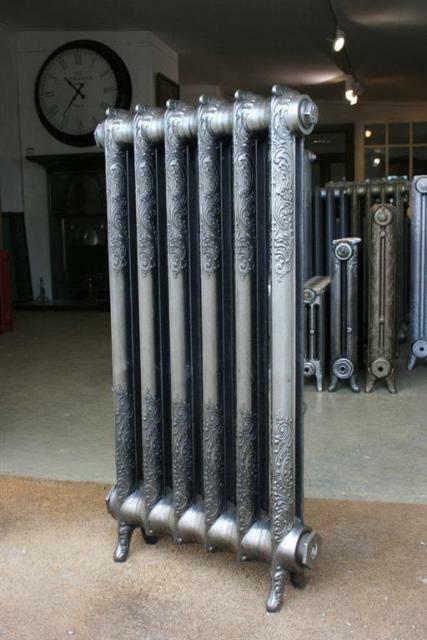 For details of the full restoration service please refer to Radiator Restoration. 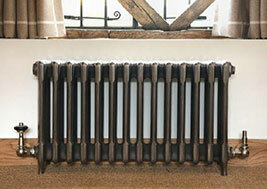 This service is also available for customer supplied radiators. 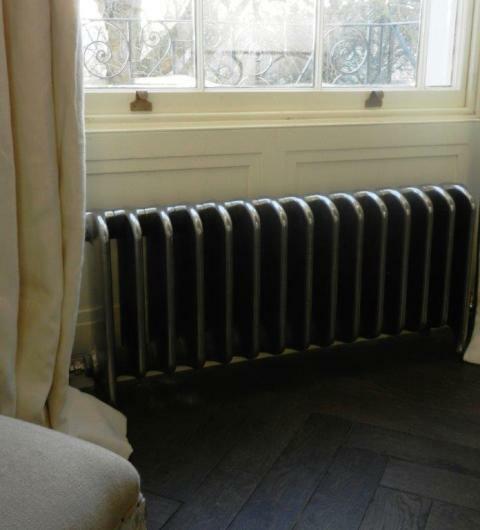 A member of the team will be able to advise the radiator size required based on the measurement of your room. 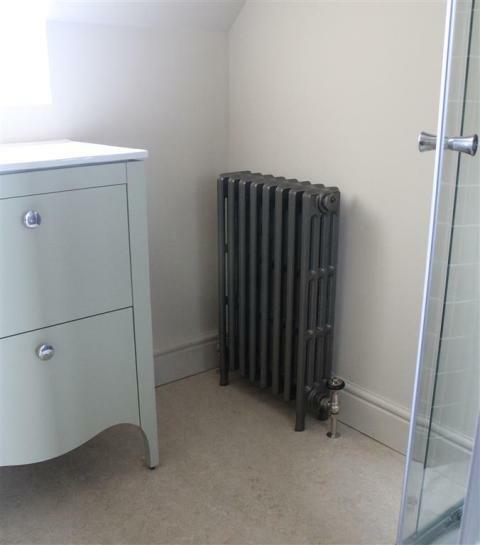 We can alter Radiators to provide the number of sections required to meet your heat or space requirements. 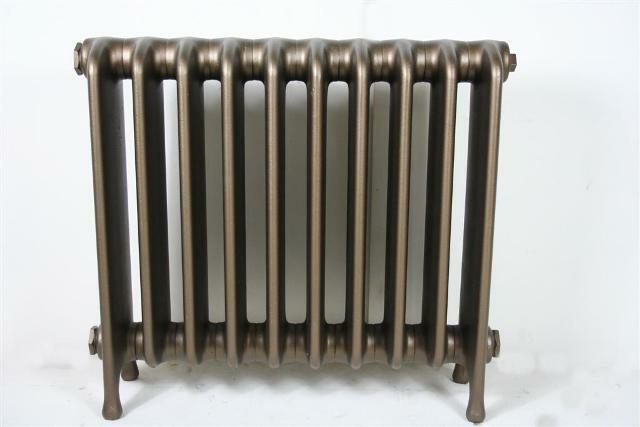 The radiator prices include painting in one of our stock colours (white,cream,gunmetal, anthracite, grey bronze, old gold or black) in an eggshell finish, for an addtional cost we can colourmatch paint colours ie any RAL/paint company's colour or they can be polished to highlight the detail of the casting, please refer to Cast Iron Radiator Finishes. 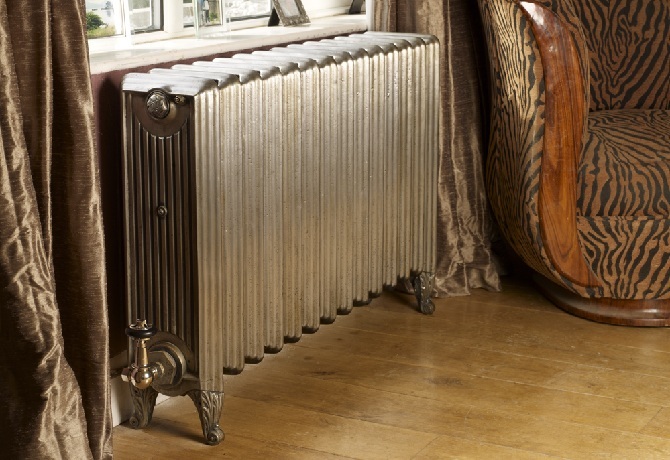 We can supply new radiator valves based on a traditional design, to match the old style of radiator and available in Brass (Lacquered or unlacquered), Chrome, Nickel, Satin Nickel, Pewter, Old English Brass, Antique Brass, Antique Copper and Black Nickel, incorporating manual or thermostatic control. 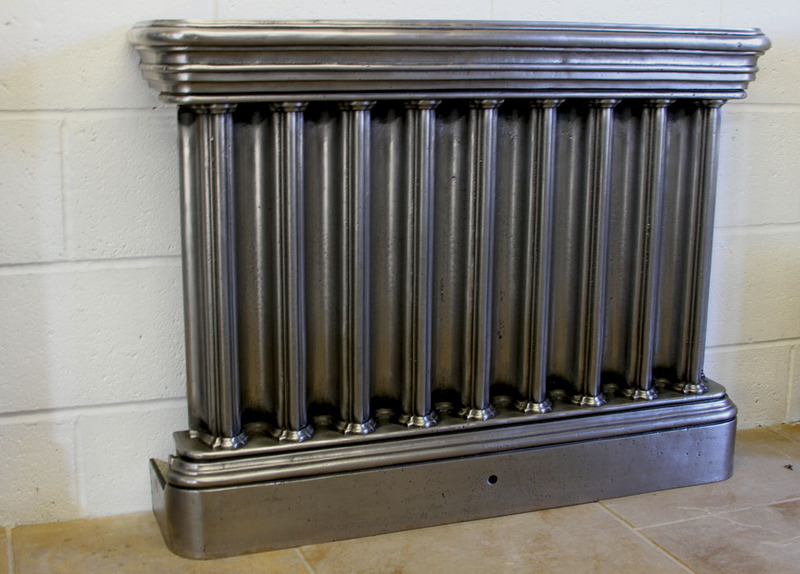 We also provide pipe shrouds,covers and brackets in all of these finishes matching the radiator valves. 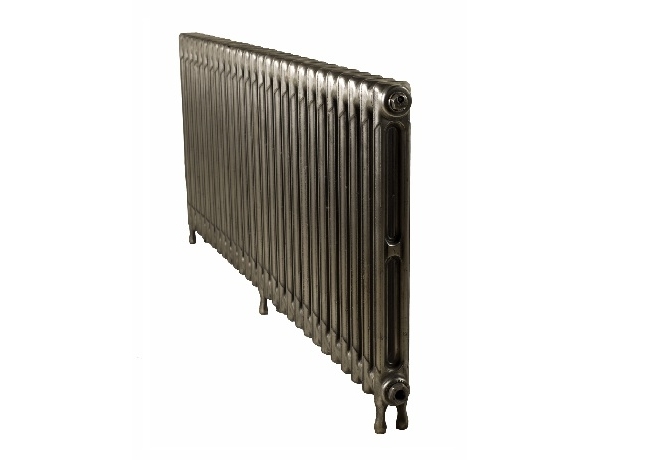 Our ever changing stock of over 3,000 Old Cast Iron Radiators is the largest in UK and Europe and covers many radiator styles from the Victorian and Edwardian era. 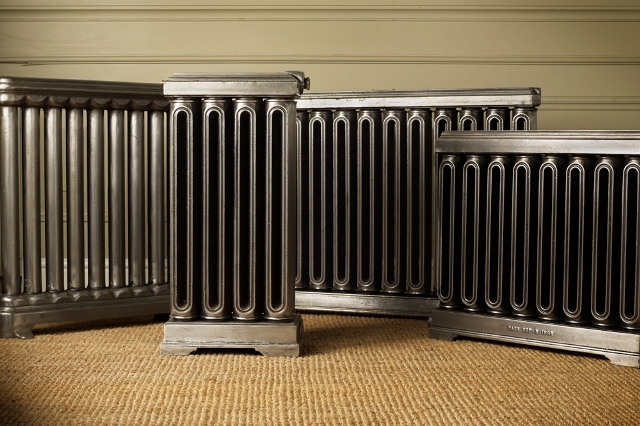 The styles are split into two ranges; Rarer and Original. 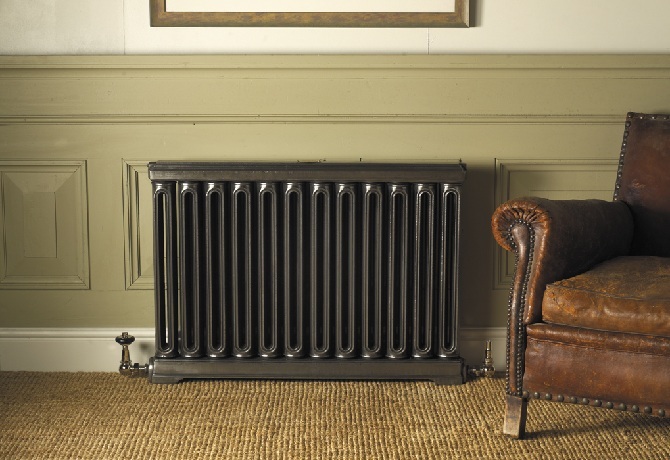 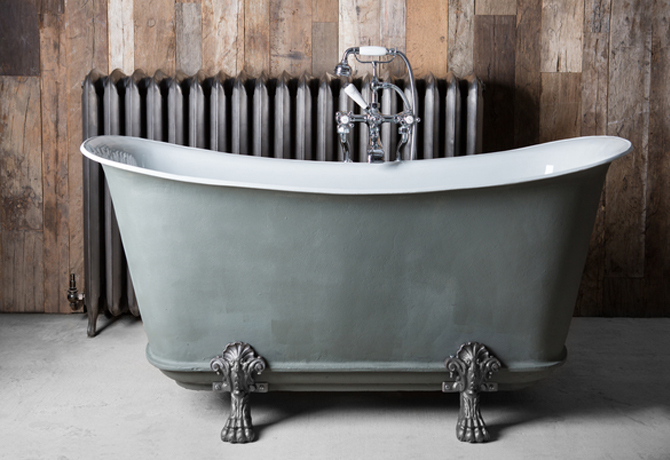 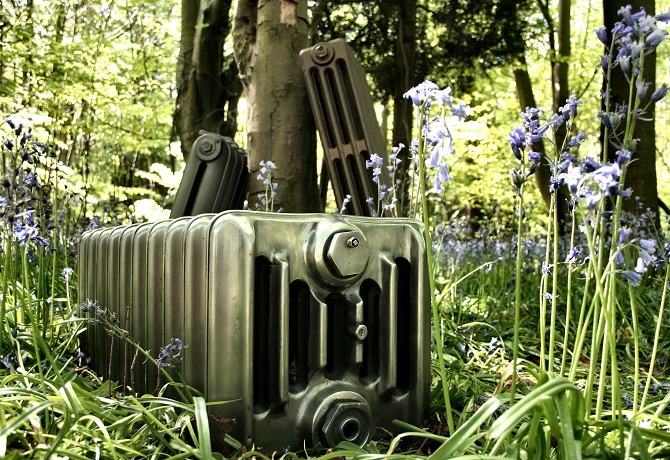 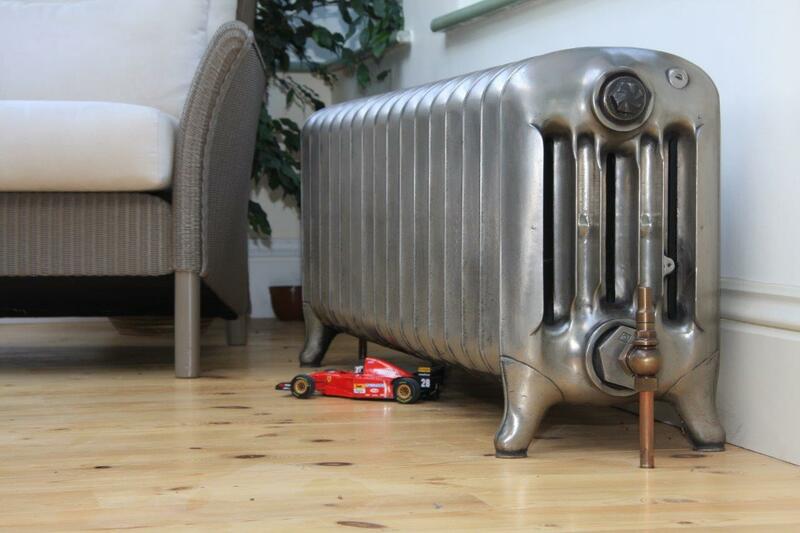 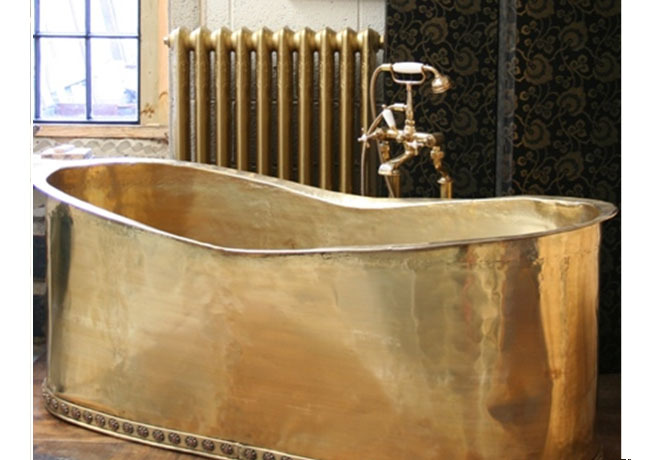 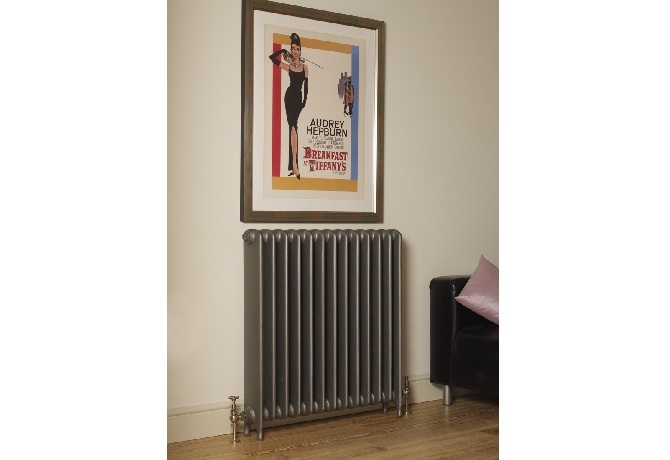 The Rarer range includes Chubby Princess, Chubby Churchill, Churchill and Warehouse radiators. 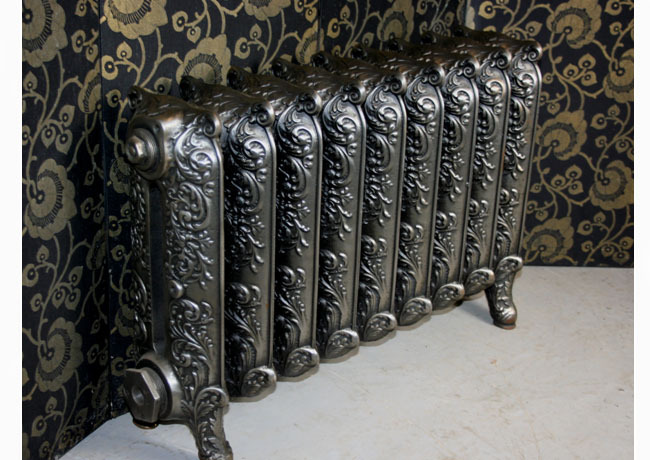 We also have an ever-changing stock of Unusual and Ornate radiators including Church radiators. 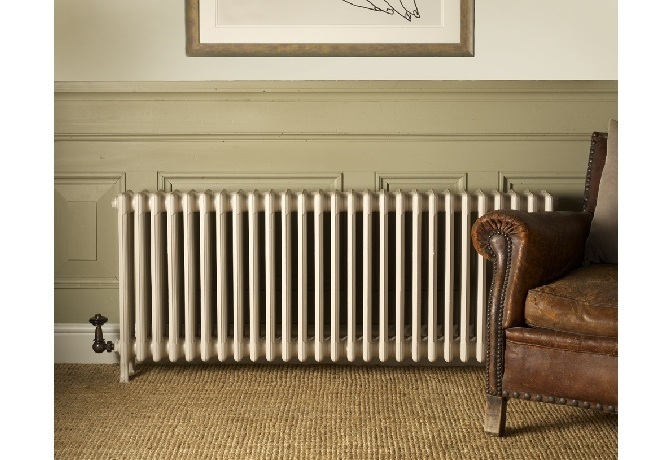 The Original radiator range includes the school, princess, duchess the column radiators which people are more familiar with: Two column radiators, Four column radiators, Six column radiators, Nine column radiators, School radiators, princess radiators, 3 column princess radiators, duchess radiators and Hospital radiators. 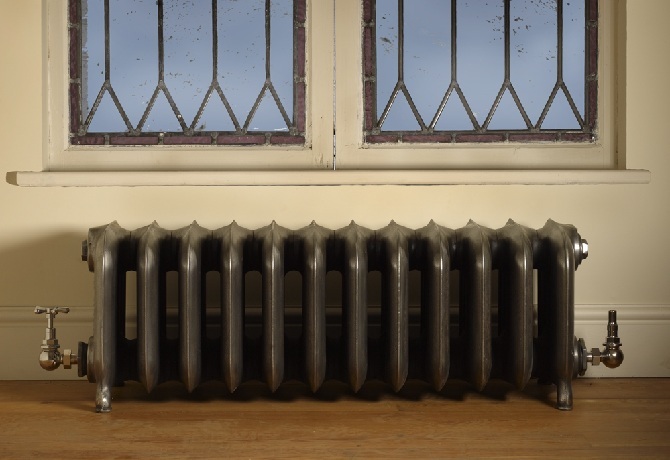 All the radiator styles in stock paint and polished finishes can be viewed at our showroom which includes the Original Floor Tiles. 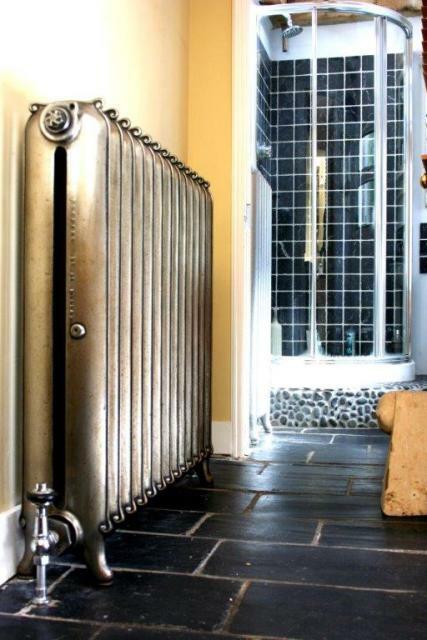 You can view radiators in our home next to the showroom. 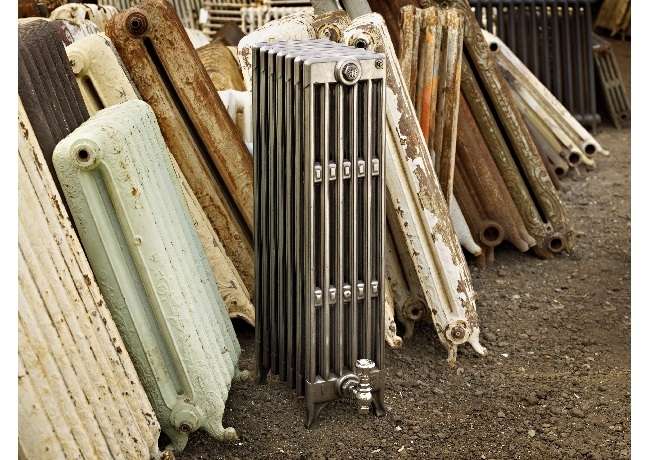 You can even view the unrestored radiators in our large yard. 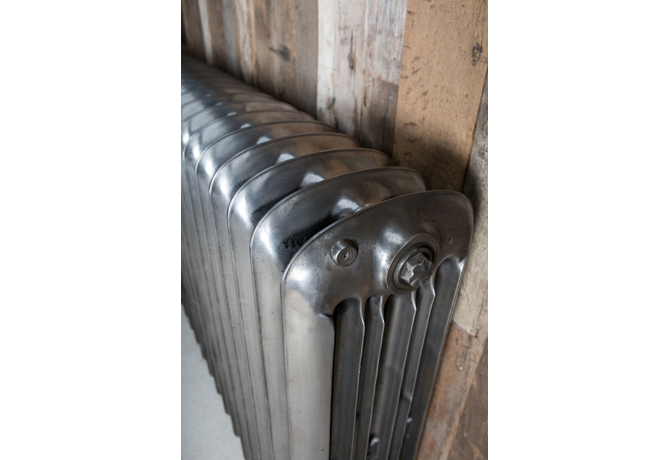 We can supply "ready to go" radiators for sale within a few days or a bespoke radiator usually within 4-6 weeks, just let us know if this causes a problem. 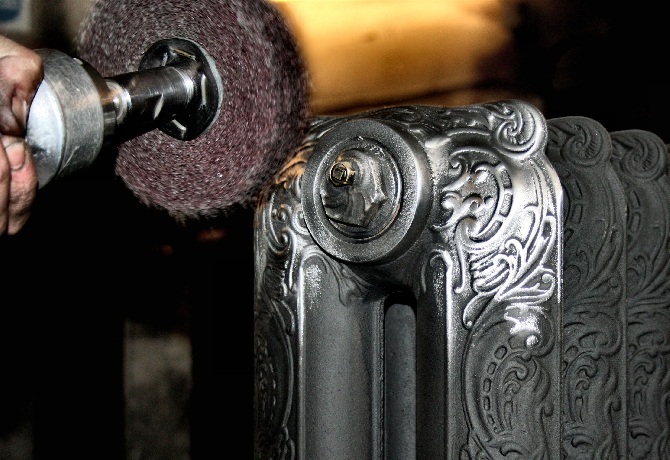 Please contact us for current lead times. 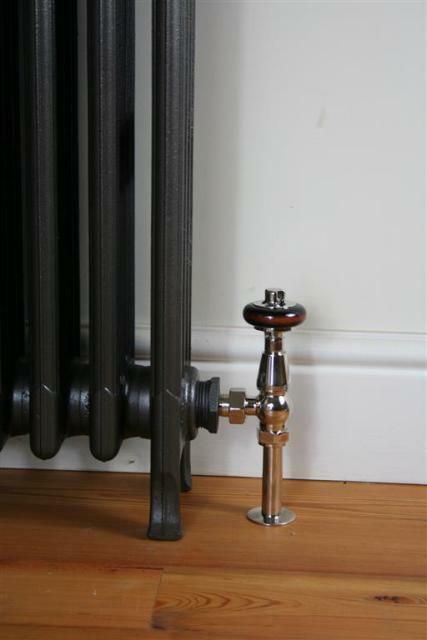 We can provide pipecentres to enable first fix plumbing. 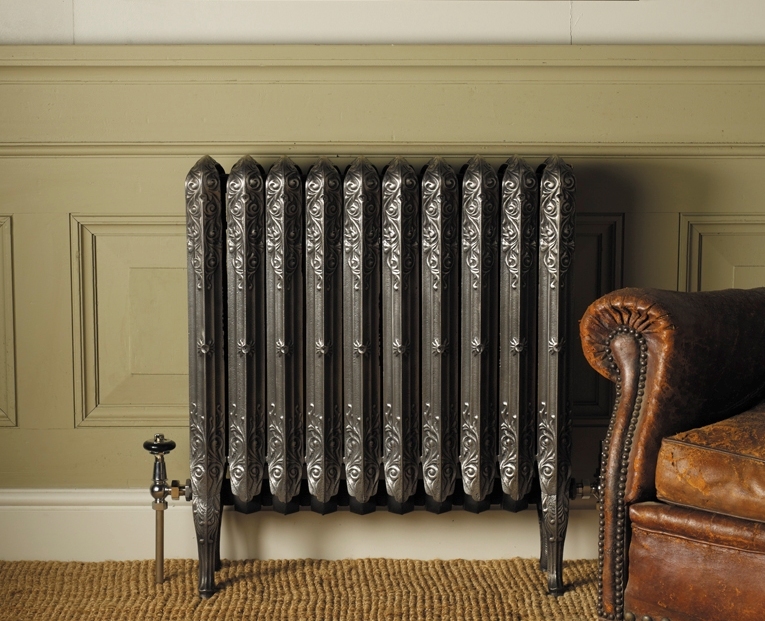 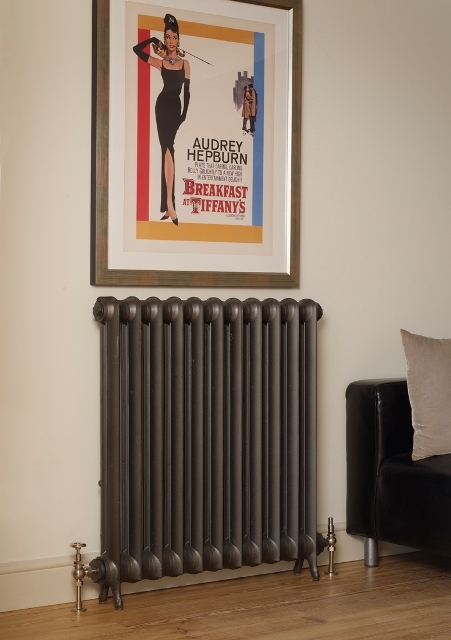 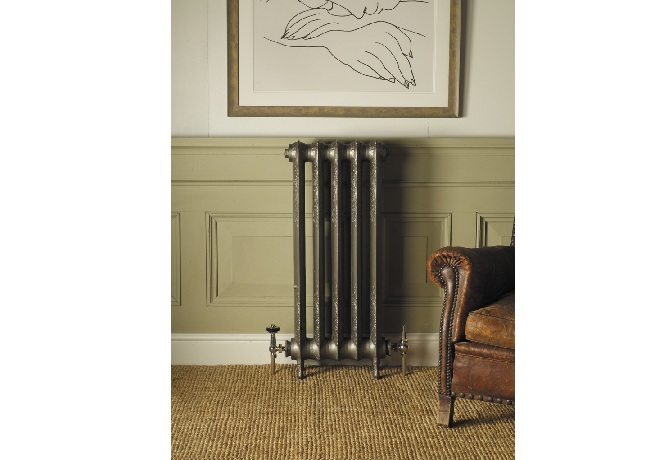 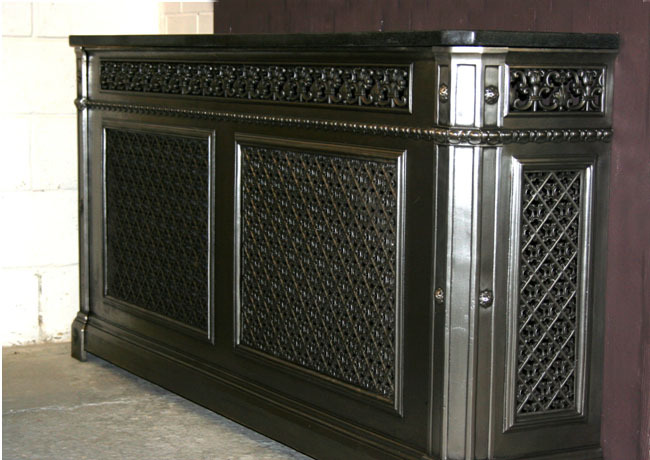 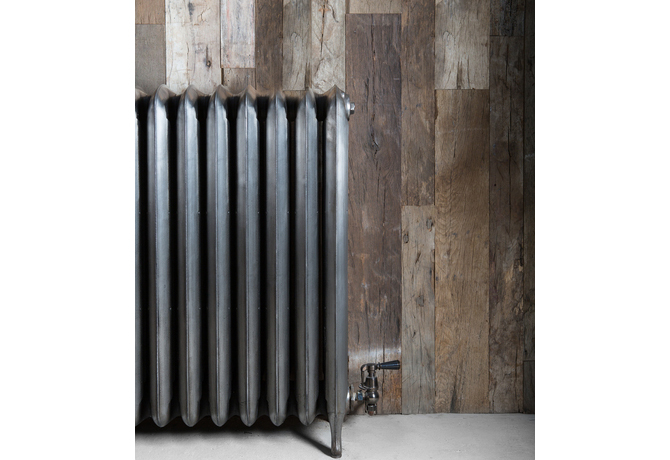 Cast Iron Radiators can be specified and ordered either at our large showroom or over the phone. 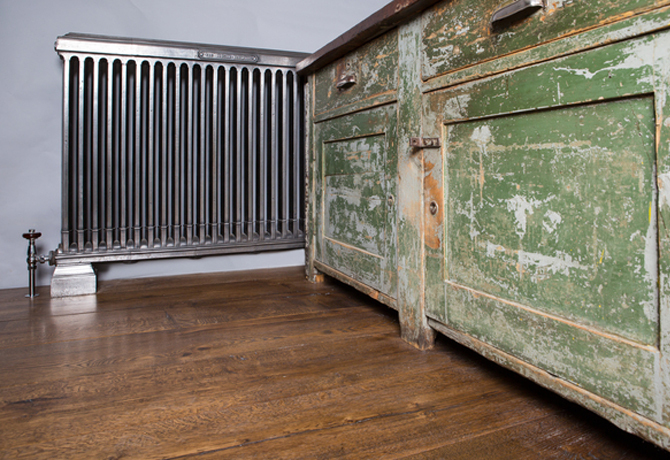 Deliveries and Collections are made across the UK using our own transport. 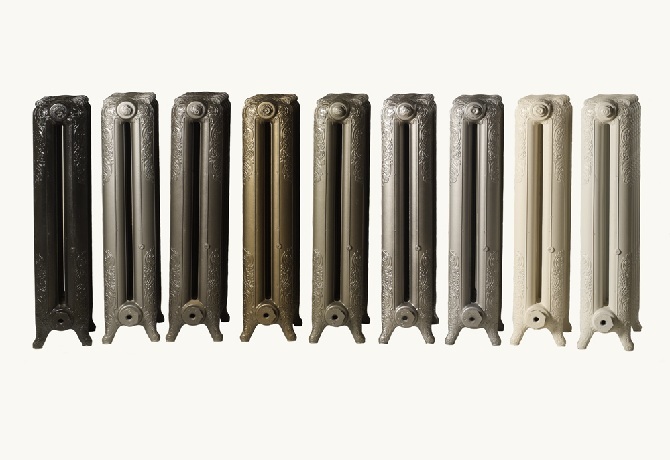 The Old Radiator Company Exhibits examples of our original radiators at various trade shows during the year and are available to answer any questions, please consult the Contact Us page to find out further details. 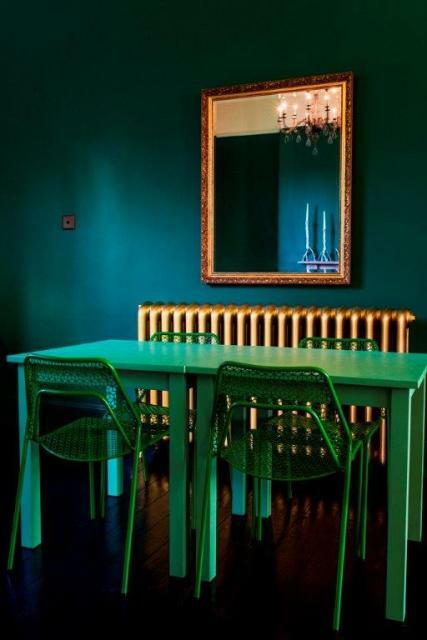 ALL PRICES QUOTED ARE EXCLUSIVE OF 20% VAT BUT DO INCLUDE PAINTING IN ONE OF OUR STOCK COLOURS, PLEASE REFER TO THE FINISHING TOUCHES SECTION FOR DETAILS.